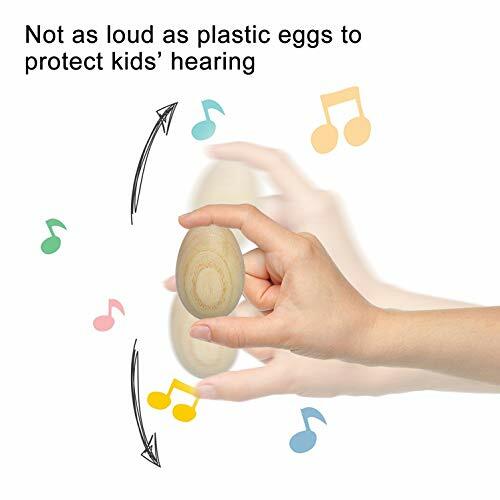 NOTE: The sound of wooden eggs is a little SMALLER than plastic eggs to protect kids' hearing. They are NOT suitable for children UNDER 3 years old. Warning: Do NOT use these wooden egg shakers for other purposes. 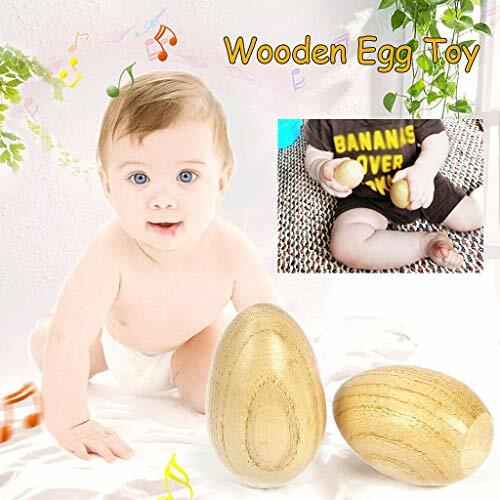 This wood egg shaker can produce a myriad of sounds & music by using in variety ways with kids. 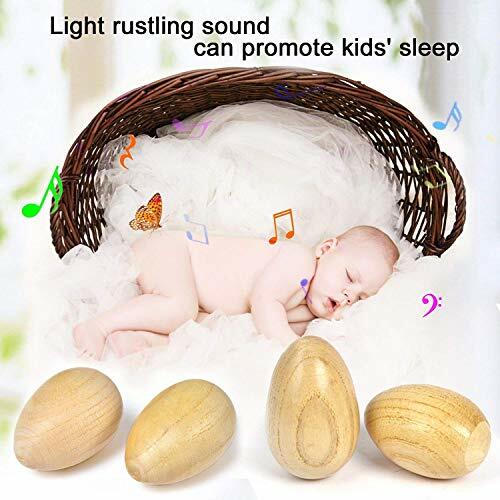 Lightweight and durable: These wood musical eggs create pronounced shaker sounds with their durable shells that are easy to handle while playing.